A plug-in sports car from Canadian startup Girfalco promises to be one of the hardest-accelerating vehicles on the planet. With electric motors powering each wheel, the two-seat Azkarra S is designed for both road and track use and will accelerate to 60 mph from rest in an eyeball-flattening 2.5 seconds, and easily reaches its governed top speed of 150 mph. The standard model Azkarra has only one motor but still delivers high performance, accelerating to 60 mph from zero two seconds later, with a top speed of 124 mph. Girfalco, based in the province of Quebec, says owners can expect a range of up to 124 miles, depending on driving style. The top model is close to $100,000 in Canadian funds or about US $75,000. 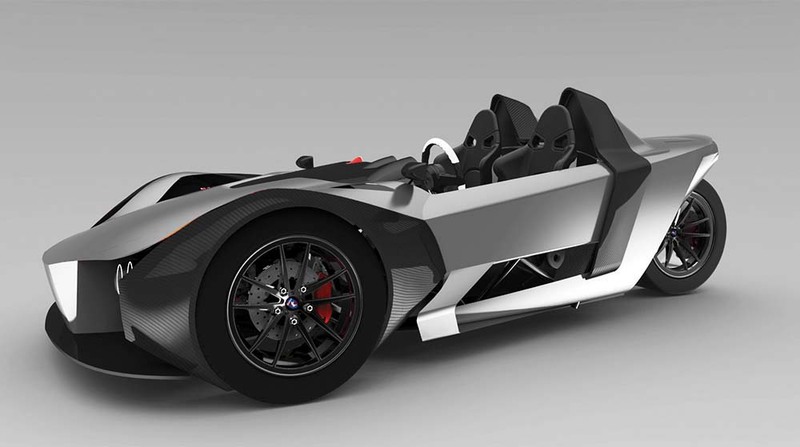 The three-wheeled Azkarra S has three electric motors and can hit 60 mph from rest in a claimed 2.5 seconds.